It’s November, Halloween is out of the way, and we’re finally starting to feel festive! There is something about this time of the year that makes us feel all romantic. Hot drinks in front of the fire, cosy evenings with our loved ones, and swapping nights out for The Xfactor and takeaways – what isn’t there to love? It’s also the perfect time to have a wedding. Whether you want a full on Christmas themed blowout, or you just want a winter wonderland intimate affair, there are plenty of cool ideas that you can incorporate. Winter weddings are the perfect chance to step away from the traditional style dress and experiment with something new. The weather is going to be chilly outside but you don’t want to miss out on the important outdoor wedding photographs. Instead of shivering away throughout the whole photograph session, why not add something warm to your outfit selection? 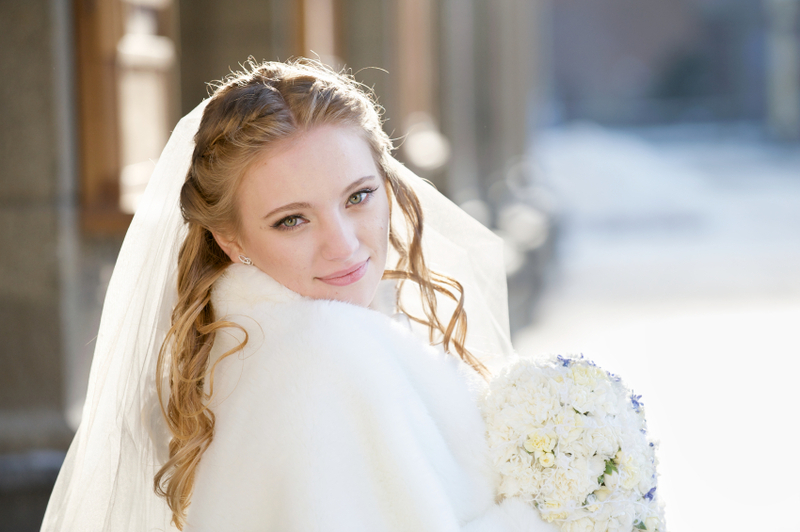 Faux fur wraps and capes are set to be extremely popular during this year’s winter wedding period – they look amazing in the photos! Don’t forget your footwear! Swap the traditional heels for something more winter appropriate. Winter boots can be hidden by your wedding dress or they can add a creative touch to your photos. If you don’t want to do anything dramatic, we suggest choosing a dress with sleeves. This keeps you warmer whilst remaining elegant and traditional. Most guests are offered a glass of wine and cold canapés when they arrive at a wedding. We think winter weddings are the perfect chance to honour this tradition but adding your own wintery twist. 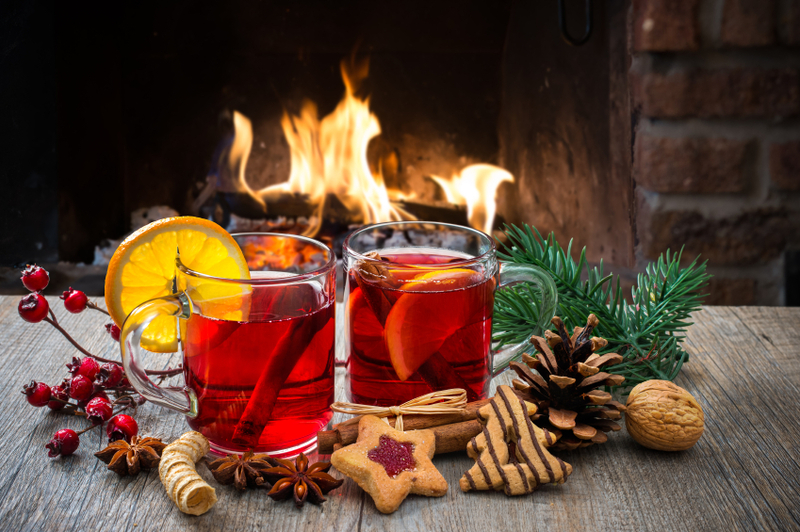 Instead of handing out wine or Prosecco to your guests, why not offer them mulled wine instead? Nothing says winter and Christmas like the taste of a hot mulled wine. You can also change up the selection of canapés too, offering them hot food straight from the oven. This will warm them up and let them know that you have considered their needs. A lot of couples desperately wish for snow for their winter wonderland wedding, but unfortunately it rarely snows here in the UK. Those who still want snow to play a part in their wedding decor need to start looking for different ways to achieve this. Star cloths can make it seem like your room is full of glistening snow, adding a beautiful touch to your wedding reception. We also suggest the use of fairy lights – you can add them throughout your wedding venue. Enchanting fairy lights can add a magical touch to your wedding, making it look like the stars are shining throughout your evening ceremony. When it comes to winter decorations, there is plenty for you to choose from. If you want to be simple, you can easily choose things that are wintery coloured – think whites and silvers, or red and green for Christmas themed. Other ways to set the mood for winter includes using scented candles as table decorations, candy canes as wedding favours, as well as snowflakes and pine cones. Monitor Lighting specialise in brilliant and high quality wedding lighting hire in Essex. We have the perfect lighting solution for your winter themed wedding, helping you put the finishing touches to your special day. For more information on our wedding lighting services, please don’t hesitate to contact us. You can give us a call on 07950 729708 and a member of our team will be happy to help you out.